Stop by the Pioneer Museum when the Pumpkin Patch opens for business, 10:00 a.m. to 5:00 p.m., and will be open Monday through Saturday through October 31. 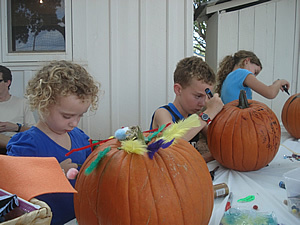 Buy pumpkins, pose for family photos, or pick-up decorating ideas at the patch on the museum grounds at 325 W. Main St., in Fredericksburg. All sales will benefit the Pioneer Museum. For information, call 830-997-2835.